Home Renovation Tax Credit (HRTC). Individuals will be able to claim a 15-per-cent non-refundable tax credit for eligible expenditures made in respect of eligible dwellings. The credit will apply to expenditures in excess of $1,000, but not more than $10,000, resulting in a maximum credit of $1,350 ($9,000 x 15%). The credit will apply only to the 2009 taxation year. Expenditures for work performed, or goods acquired, after January 27, 2009 and before February 1, 2010, will be eligible for the credit. respective eligible expenditures in excess of $1,000, but not more than $10,000. building materials, fixtures, equipment rentals, and permits. 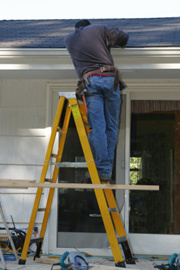 The cost of routine repairs and maintenance normally performed on an annual or more frequent basis. Expenditures for appliances and audio-visual electronics. 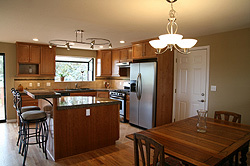 Financing costs associated with a renovation (e.g. mortgage interest costs). equipment (e.g. tools) will not be considered integral to the dwelling and therefore will not qualify for the credit. Remember, the money invested in improving your home will not always translate into an equivalent return in the selling price of your home. Careful planning is important if you want to increase the salability of your home and make a profit from your renovations! Please be sure to visit the selling tips section of my website to find out which renovations provide the most return on investment. If you’re like many people looking to buy or sell a home, the chances are good that you are in the market for a Mississauga Realtor. There are a few different things you’ll need to look for if you want to make sure you find the best possible person to help you buy or sell your home. The first thing you need to be aware of is whether the realtor of your choice is expertly familiar with the Mississauga area. There are different areas around here that will be more or less desirable for you to live, and the realtor should be able to accommodate your needs and warn you of the ups and downs of certain locations. Sugar coating everything is not helpful to you, nor is missing out on the location of your dreams! Another consideration is how experienced your realtor is. If you want to make sure you have the best experience possible, you should go with someone who has won awards and has been recognized as being a quality Realtor in the eyes of the public. Of course, you’ll also want to go with someone who has a good reputation. When it comes to choosing a realtor, it all comes down to their knowledge and professionalism. If you don’t like working with your realtor. It will not be the kind of experience you want when you’re trying to buy or sell a home! Work with someone you like and it will be a great experience. Once you have found the qualities you would like in a Mississauga Realtor, you’ll be amazed at how smoothly the process will go. It really does pay to do your homework and find someone who will meet all of your needs, and more. If you don’t do this, you might have a tough time buying or selling. It is especially true in these economic times that you need a Realtor will accommodate every need you have, and who will work with you. Finding the right person does not have to be difficult, however it may seem. There are some amazing realtors who will do their best to accommodate your needs and help you buy or sell the home of your dreams. When you have a good realtor by your side, it makes all the difference in the world! Mississauga is a wonderful place to buy or sell a home. Whether you’re coming or going, Lea is someone who can meet your needs! Contact her today.